Katerina is a Lecturer in International Relations within the Department of Politics and International Relations. She contributes to teaching on the BA (Hons) International Relations. Her teaching focuses on feminist theories, gender, and international security. Katerina holds a BA degree in International Relations and European Studies (Metropolitan University Prague, 2010), MA in International Relations and European Studies (Metropolitan University Prague, 2012), and PhD in Languages, History and International Studies (Nottingham Trent University, 2017). Katerina has taught in higher education for over five years. 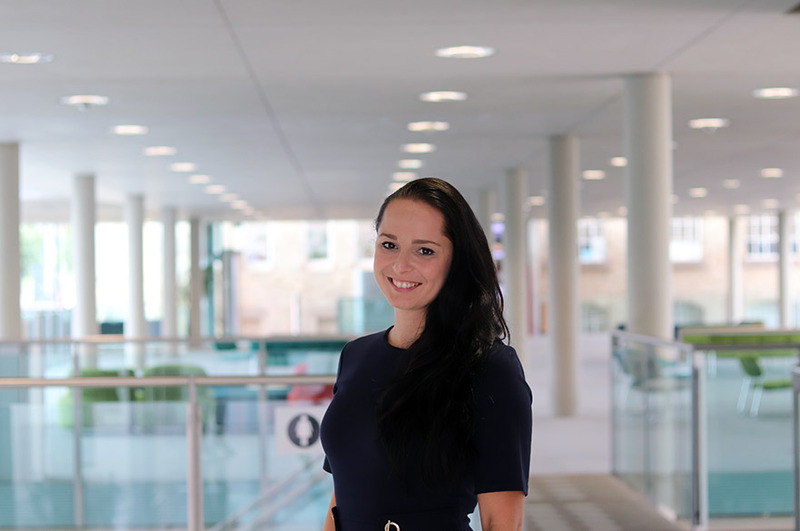 Before joining the Department of Politics and International Relations, Katerina taught at undergraduate and postgraduate levels in the Departments of International Relations and European Studies and the Department of Security Studies at Metropolitan University Prague. She has also taught at undergraduate and postgraduate levels in the School of Arts and Humanities at Nottingham Trent University. Politics of memory in Central and Eastern Europe. She has published on the topics of female self-martyrs in Chechnya, and sexual(ised) violence in armed conflicts. a number of review articles. In research collaboration with Sarka Kolmasova, the article on R2P and Sexual(ised) Violence Discourses and Legitimisations is forthcoming. At the moment, Katerina is working on her monograph on Female Protagonist of Political Violence and International Legal and Media Discourses, and further develops her R2P analysis together with her colleagues. Katerina is happy to supervise students in any area of International Security as well as research students interested in gender in International Relations. She also acts as an academic advisor to the Czech Republic in the area of UN Security Council Resolution 1325 and Women, Peace, and Security. Katerina has acted as an anonymous reviewer for a number of journals, including International Feminist Journal of Politics and Gender and Research.